Whidbey Island is home to a bevy of visual artists. If you consider the diverse natural beauty of the island, it makes sense that artists of all mediums would be drawn to live and work here. The muse is here in all her forms: mountain vistas hovering over pristine beaches, green prairies, gold pastures, luscious woods, sumptuous gardens of flora, farmlands of food, and a variety of wild creatures that evokes the romance of some mythological place that gently holds its forest animals, its masses of wild birds and its cherished resident pods of orcas and grey whales. Inspiration abounds. But history also plays a part in how Whidbey Island got its start as one of the most notable art havens of the Pacific Northwest. Langley was home to two of the Northwest’s early modernist painters, Margaret and Peter Camfferman. When the Camfferman’s moved to Langley in 1915, they created an artists’ colony at their home, which they called Brackenwood, and which became a haven for artists until well into the 1940s. The Camfferman’s became part of Seattle’s “Group of Twelve” and were highly regarded within the regional art community as both teachers and artists. Times have changed and, although the artist colony is long gone, its legacy lives on in the myriad artists who call Whidbey home and, more literally, in Brackenwood Gallery in Langley, which was named for those artistic Langleyites of long ago. 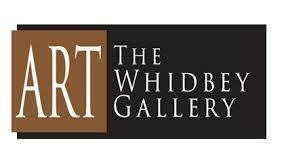 Whidbey Island is proud of its visual artists, arts organizations, craftspeople, galleries and studios. Each year, artists open their studios to the public for tours and sales, and the island hosts a series of festivals, which emphasize the artistic nature of the island, including Choochokam Arts held in July in Langley, the Coupeville Arts and Crafts Festival in August, as well as seasonal arts and crafts shows to which people are welcomed all over the island during the Holiday Season. Voted Best Art Gallery in Western Washington 2014, Rob Schouten Gallery at 765 Wonn Road in Greenbank features original art of exceptional quality from Whidbey Island and Northwest artists. 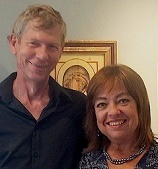 Offering a wide variety of prices and media, the gallery carries elegant and unique art and gifts including glass, jewelry, paintings, fiber arts, woodwork, giclee prints and cards, sculptures and more. Located near Penn Cove at 26184 SR 20 in Coupeville, Penn Cove Pottery features both a gallery with finely crafted pottery, and a working studio. Steve and Mary Beth Eelkema are your hosts, and owners. You’ll find a wide assortment of functional pieces for everyday use, as well as glass art and wall art to decorate your home or office. Included are bowls, wide mouth jars, teapots and much more. Pottery from other Northwest artists is presented as well. Artist-owned Garry Oak Gallery is a co-op gallery located in Oak Harbor at 830 SE Pioneer Way. Featuring new and original works of art from over twenty five established and emerging artists, Garry Oak Gallery provides a unique balance of both high end fine art as well as a bevy of easily affordable art work. One of the artists is always in the gallery, and they’ll be happy to talk with you about the gallery offerings, and your artist desires! Langley Fine Art Gallery (affiliated with the Whidbey Island Fine Art Studio) has a Show wall in the Prima Bistro in Langley. It is in the front part of the restaurant. Also the WIFAS art studio itself is open by appointment.Both have oil paintings by Cary Jurriaans and guests, specializing in contemporary realism. Whidbey Island Fine Art Studio,WIFAS, also offers visual art workshops with exceptional instructors, who come to Langley for a week from all over the US and abroad. Become inspired and take a workshop with WIFAS, the total immersion will be an unforgettable experience. Looking for art to display, wear or give? Penn Cove Gallery, located in the historic waterfront area in Coupeville at 9 NW Front Street draws from 27 island artists to offer original art, art cards, and reproductions. 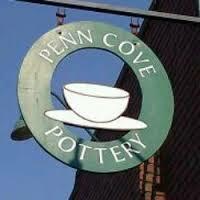 Both local residents and visitors come to Penn Cove Gallery for home decor and gifts for the home or office. Featuring a wide variety of mediums to choose from, come in and talk with our artists and find the perfect something for yourself or someone special. Looking for a special piece of artwork to take home? Come view our collection of artwork by some of the island’s most talented artists. Located in Coupeville at 15 NW Birch Street, Pacific Northwest Art School has also been offering exceptional visual art workshops in painting, fiber arts, mixed media and photography for 29 years. Taught by distinguished and nationally known faculty members, become inspired with a workshop experience you will not soon forget! Changing artwork on display on a regular basis, Artworks Gallery at Greenbank Farm in Greenbank is an artist co-operative featuring Whidbey Island artists. Working in a multitude of media subjects, the featured art is the product of juried selection, and produced at the highest standards. You’ll find them at 765 Wonn Road, Greenbank. Featuring the artwork of artist/owners Mary Jo Oxrieder and DM Windwalker Taibi, Raven Rocks Gallery at Greenbank Farm, 765 Wonn Road in Greenbank, also has works by many emerging and renowned local artists. You’ll find handmade art and fine crafts in a wide selection of styles and media, plus fine artwork for the discerning collector. Look for necklaces, wall hangings, plaques, acrylic paintings, prints, batik fabric hand woven tapestries and purses featuring hand spun yarns, and the much-loved raven paintings by Windwalker. 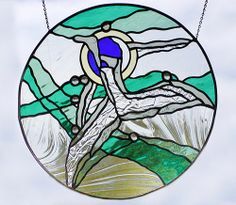 Callahan Campbell McVay creates amazing and beautiful hand blown glass in many forms, from small collectables to massive, custom wall hangings and much in between. 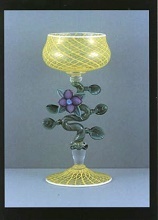 Callahan has traveled internationally, studying in glass studios throughout the world, absorbing perspectives of color, form and technique. Want to try blowing one of a kind glass art for yourself? Sign up for a “blow your own glass” session and create your own personal masterpiece. Located in Langley at 308 1st Street, Hellebore Glass Studio features fine quality vases, goblets, bowls, fish and Venetian style cane work, Latticino and Reticello. Choose from a wonderful selection of exquisite pieces suitable for your fine art collection. Brackenwood Gallery is a Fine Arts Gallery proudly featuring local Whidbey artists, while also being home to several renowned Pacific Northwest artists. With a knowledgeable staff of associates who are enthusiastic lovers of art, you’ll find a wide array of high quality artwork to satisfy your discriminating tastes. You’ll find them at 302 1st Street, Langley. A gallery of contemporary fine art located, Museo presents work from top local artists who are both regionally and nationally known. At Museo you’ll superlative customer service and a wide collection of cutting edge sculpture, fine handcrafted jewelry, paintings and glass art for discriminating art collectors. You’ll find beautifully presented objects of incomparable quality at 215 1st Street in Langley. 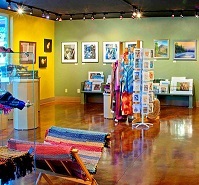 One of Whidbey’s newest galleries, The Poppycock Gallery located at 107 1st Street in Langley is devoted to photographic images as seen through the lense of Chris Evan’s camera. You’ll find many themes throughout the gallery, including lightning and storms, ferries, flowers, and a myriad of images from Whidbey Island. Exuding vibrant colors and images, photos can be customized for individual tastes with matting and frames to create the perfect gift or addition to your personal collection. Offering an unusual collection of art and handcrafted curated goods (some local, some not, all thoughtfully crafted & useful), Edit. at 306 1st St in Langley is one of a kind. Selections include paintings, encaustics, Turnco Wood Goods, and a wide range of artistic creations that are at once beautiful and functional. 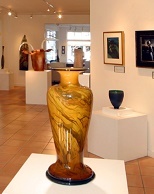 Established in 1992, Whidbey Art Gallery at 220 2nd Street in Langley has, over the years, showcased over 155 local artists. Their works include fiber and fabrics, metal works, fine art paintings, sculpture, jewelry, photography, and ceramics, and range from miniature to heroic, traditional to experimental, local to global. From personal stationary to unique works of arts, Whidbey Art Gallery offers an amazing array of artistic endeavors and mediums. Featuring a wide selection of jewelry, gems and precious stonework, Whidbey Island Gem Gallery at 206 1st Street in Langley has the perfect item for a new addition your private collection or as a thoughtful and unusual gift to give. You’ll also find a large selection of natural crystals, fossils, and other beautiful treasures from nature. Exquisitely crafted by local and international artists, Whidbey Island Gem Gallery offers quality jewelry and gifts made from natural gemstones, crystals, fossils, and precious minerals.